Thank you for visiting our website! Your link to the most unique state of the art and customer friendly Pressure Washing Company. 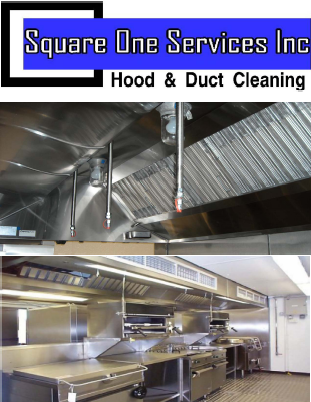 We are an American owned and operated Pressure Washing Business and we now include Comercial Kitchen Hood & Duct Cleaning. Please click on the Services tab and check out our large assortment of Pressure Washing Services. We proudly serve Saint Lucie and surrounding counties. We are licensed, Insured & Bonded. Our Mission Statement Commitment to excellence and customer service the way it should be. What does this mean to you as a valued client of the Square One Family? 1. We are always striving to be the best and remain ahead and above the competition. 2. One of the many ways in being the best is by providing superior products for your Pressure Washing needs and including extra services that a lot of our competitors don't include. 3. Ongoing '' free'' consulting for your Pressure Washing and Hood & Duct Cleaning, competitive pricing, rare increases, peace of mind. 4. Our specialist's are highly trained and knowledgeable. 5. We include periodic service follow-ups inspections, to insure our clients always come first and receive the best possible care, and customer service. 6. Square One is a family orientated company. We hold true, that Your Businesses, happiness and peace of mind are the most important elements on earth. © Copyright 2008 - Square One Services Inc. All Rights Reserved.